Microsoft seems determined to make the upcoming Windows 7 one of the best operating system ever released. Windows graphical user interface has been greatly beautified in Windows Vista, leaving less room for impressive “wow” factor. So now it’s turn to long pending upgrade and update to the features and functions of programs packaged for free in Windows. 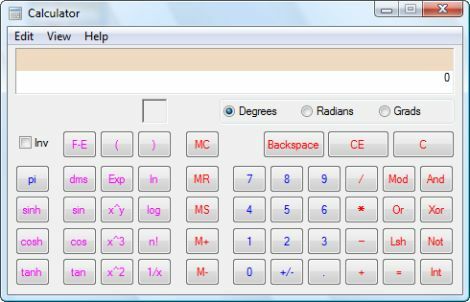 One of such basic programs been updated is Calculator. 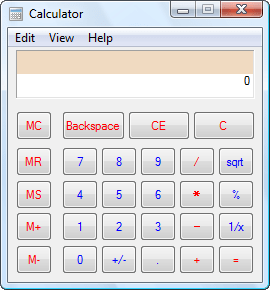 Calculator in Windows 7 has been added and enhanced with more modes, including unit conversion and history tracking. 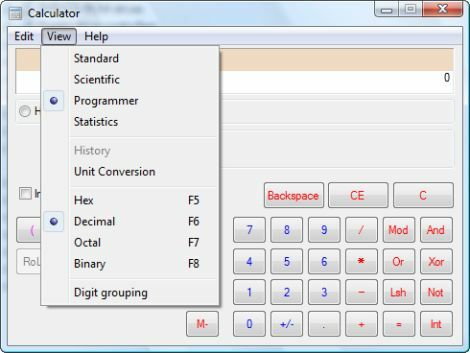 Two new modes, in addition to Standard and Scientific modes, are Programmer and Statistics. And users can call history with ease too and perform conversion of units. 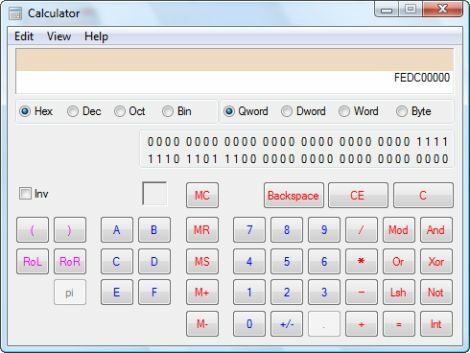 Windows 7 Calculator usual Standard mode. 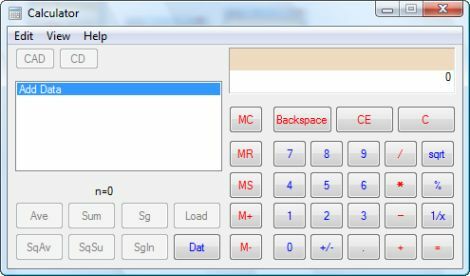 Thus, users will probably no longer need to buy advanced third party calculator software or download calculator powertoys from Microsoft, such as Calculator Plus.